Relax, have fun, and let your doggie do the same! Our therapeutic Dog Daycare Program is designed to improve the quality of life for both dogs and their owners. • No flea collars allowed; however effective flea and tick treatment is required. • All collars are removed prior to entry of play areas. • All dogs must have been part of your family for at least 30 days. 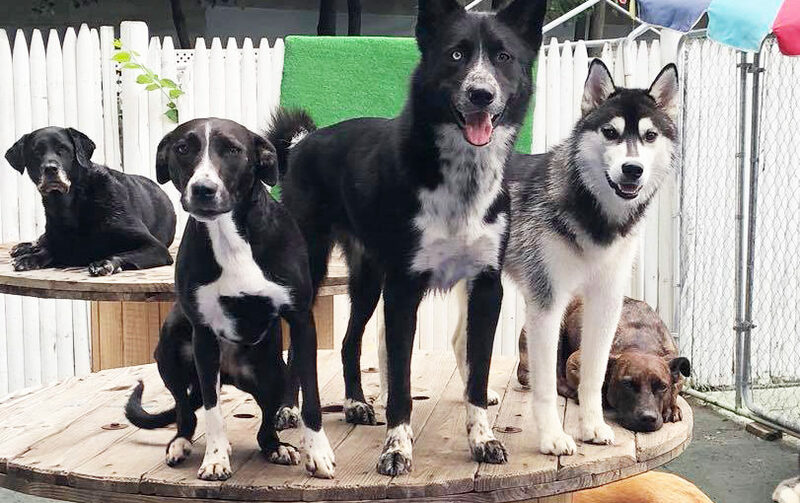 • Each dog’s temperament will be evaluated on its first day of daycare to determine if it will be allowed in the main playgroup. • Any inappropriate play will be greeted with a short but sweet “time-out”. • Dogs are required to arrive between 6:30 AM – 8:30 AM on their first day. • We hope you choose to afford your pet the opportunity to spend time at our “awesome” resort and reap the benefits. Visit our Pricing & Policies page for rates and vaccine requirements.